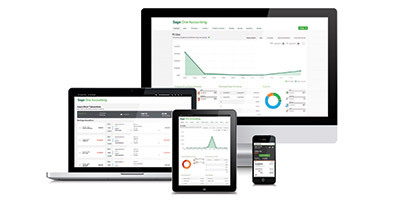 Sage Business Cloud Accounting: Run your business like a pro. Buy Sage Accounting now and save 50% for your first 3 months. Enter your payment details today and only pay €12.50 + VAT for 3 months**. **Terms and conditions apply. Backed by market leading support, giving you access to online help, video libraries, step by step guides, email, webchat and telephone support. 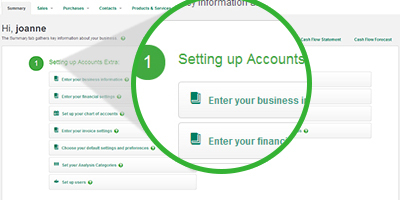 Sage Accounting is simple and secure online accounting for small businesses. Sage Accounting makes it easier to organise and manage your accounts so you have more time to run your business. Plus, Sage Accounting is backed up with free UK-based 24/7 online support, 365 days a year. Make it easier for your customers to pay their bills quicker and reduce late payments by adding a Pay Now button to your invoice in Sage Accounting. Take card payments over the phone when chasing those late payers to speed up your cashflow! Customers get paid 2x faster by adding Invoice Payments. Automatic Bank Feeds: Fast. Effortless. Simple. Connect Sage Accounting to your bank account to automatically import all your receipts and payments. Reduce manual data entry and bank reconciliation with one swift action. Find out more about bank feeds in Sage Accounting. Sage Accounting offers extensive cash flow management. Easily track the money coming in and out of your business at a glance with the useful dashboards or view the reports for more in-depth analysis. 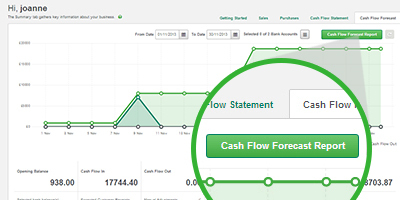 Use the cash flow forecast to estimate how much money your business will have, or need, at any point in the future to help you make business decisions and plan ahead. Sage Pay helps you take payments online, over the telephone or by mail. Integrate directly with Sage Accounting so you get paid faster, reduce manual transaction entry and have a more accurate view of your accounts at any given time. 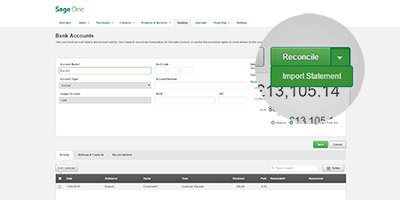 You can easily import your online transactions into Sage Accounting and even take payment directly from your invoices by adding a Sage Pay “Pay now” button to your invoices. Our comprehensive help wizard will get you up and running in no time at all. Simply follow the step-by-step guides to ensure that you start your accounts on the right foot. Easily import your customers, suppliers and opening balances to ensure you have a true picture of your financial position. 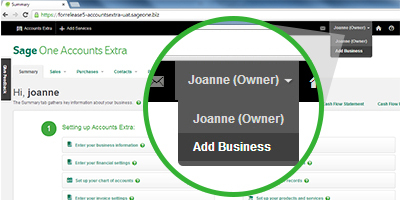 Manage data quickly and easily with the customisable user interface in Sage Accounting. Quick entry tools allow you to enter high volumes of data, such as bulk purchases or invoices, in one line, saving time and reducing errors. And customisable views mean that you can quickly see the only the information you need, prioritising what’s important and eliminating other distractions. Download the Sage Accounting Mobile App from the Apple App Store and Android Play Store. Quickly send invoices and record any payments in real time while you’re with a customer and the Sage Accounting App will automatically update your accounts. 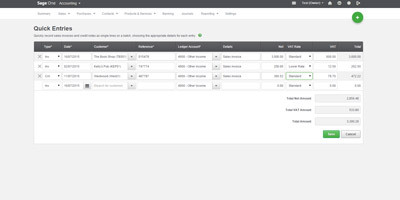 Import your latest bank statement and Sage Accounting will automatically match your transactions for a faster, more efficient bank reconciliation. If there is a transaction on your statement that you have yet to post to your accounts, you’ll also be able to create it directly from your statement to save even more time. If you have more than one business, you can manage multiple companies through a single login and keep separate accounts for each business venture. Each company will be organised the same way so you can quickly and easily switch between companies and don’t have to familiarise yourself with several different accounting programs. Expand your market by enabling foreign currencies to record transactions in any currency. 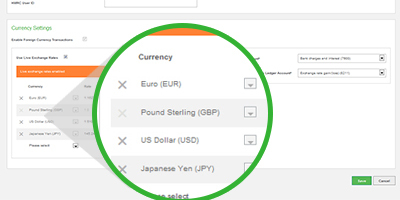 Use live exchange rates, select the correct overseas VAT rate and Sage Accounting will account for the gain or loss on exchange. This makes it as easy to do business internationally as it is here in the UK. 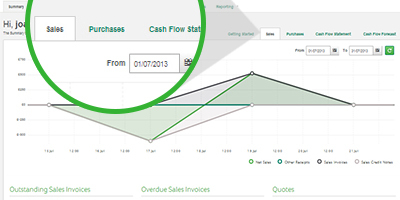 The Sage Accounting reporting feature can help you track and monitor the performance of your business. This includes everything from standard management reports such as profit and loss and aged debt analysis to profit analysis and cash flow forecasts. Instantly generate professionally presented reports with a click of a button that you can export to PDF for emailing or CSV for further customisation. Are you just looking for a simple tool to help you manage your cash flow? Sage Accounting Start might be the right choice; designed specifically for sole traders and cash-based businesses to monitor the money coming in and out of their businesses.